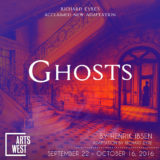 Illuminated with fresh poetry and dark humor in a stunning new adaptation from acclaimed British director Richard Eyre, Henrik Ibsen’s GHOSTS was seen as a scandalous work when it was first performed in 1892. The story follows widow Helene Alving as she tries to start her life anew after the death of her philandering husband. She is determined that her son will not follow his father’s footsteps, but when Oswald returns from France, she discovers that she may be too late. **Ghosts is presented in the round. To accommodate seating on all sides a northside seating section has been created. This section consists of three raked rows with a small aisle in the center. Seating in this section is not reserved as there was not time to build this into our ticketing system, however: northside seats are the best in the house. To choose seats in the northside section, choose that option from the ticketing list for GHOSTS and enter in the number of seats you require. *this production runs 80 minutes with no intermission. 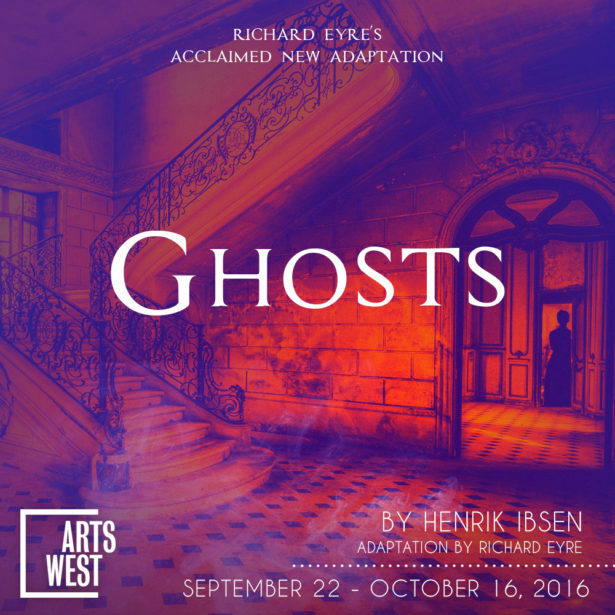 Join ArtsWest as the season opens with acclaimed British director Richard Eyre’s stunning adaptation of Henrik Ibsen’s GHOSTS. Described as scandalous work when it was first performed in 1892, the story follows widow Helene Alving as she tries to start her life anew after the death of her philandering husband. She is determined that her son will not follow his father’s footsteps, but when Oswald returns from France, she discovers that she may be too late. Come early on Friday, October 21st to get a glimpse into the making of our production of Ghosts, as Artistic Director Mathew Wright leads a conversation on Ibsen, social evolution, the roots of modern theater, and rehearsing an adaption of a classic. The special $40 ticket price includes both the 6:30pm conversation with drinks & 7:30pm show of Ghosts. Make sure to select the “Show Seminar” option from the price drop-down menu once you select your seat.